Arnel Pineda never imagined that he would be fronting the world-famous rock band, Journey, when he began singing American rock songs with his friends' band as a teenager. For years his exceptional singing talent had been good enough to belt out songs with club bands doing parties, special events, contests, weddings, and regular appearances around the Philippines, Pineda's home country. However, one evening Pineda was filmed doing his performance with a particular Journey song, "Don't Stop Believin'." The performance, as well as Pineda's accuracy in singing the song so similar to how the original version was sung by the first Journey frontman, Steve Perry, shocked people. It also shocked the guitarist and an original member of Journey, Neil Schon, when he watched the YouTube video as well. One would think that the fairytale story ended at this point as Pineda rocketed to fame as Journey's replacement singer. However, that's not quite how things went. It's easy for the typical person to think this challenge might be doable. That's because no one sees what Pineda had to go through to match every tone and every inflection that Steve Perry had done to make Journey's songs famous in the first place. Unlike Perry, who could craft a new song with any version of voice he liked, Pineda had to duplicate the original to every single detail. It was a grueling process with Schon and company catching every mistake and pushing Pineda to reach the zenith of his ability. There were plenty of times Pineda wanted to quit as well, questioning his own talent. Fortunately, the Filipino singer realized his full potential and succeeded. This story is a classic case showing how hard it is to achieve success a second time once a standard or great performance has been achieved in the first place. In business, a one-time success is just that, a fortunate blip. When a business team can repeat the performance and do even better consistently, that's a huge achievement. It proves that the success was not just good luck or a brief opportunity when things just fell into place. 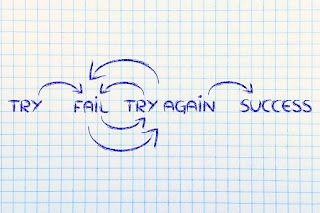 Repeat success is the primary goal every business team strives to achieve. And it is extremely hard. Conditions change, markets fluctuate, customers move to new interests, team members leave and get replaced. All of these factors and more change the mix in how successful a team can be. To overcome these changes and repeat the success is really the higher level of performance that pays big with rewards when it can be achieved. Think Pineda's story is just something that happens in the entertainment world? Look at Apple after Steve Jobs passed away. The Apple team lost a core resource in Jobs and still had to find a way to keep Apple growing and succeeding even more than what Jobs had achieved with the company. CEO Tim Cook and company did exactly that, but it was a huge challenge to fill Jobs' shoes year after year since his passing. In many ways, Cook had to perform just as hard a Pineda to repeat a success and make it better. 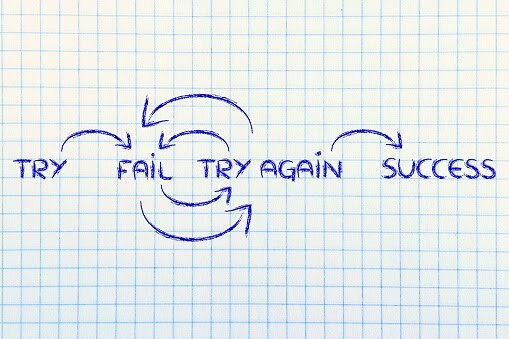 So the next time you see a repeat success story, don't dismiss it so quickly. It's frequently much harder to succeed a second time versus the first.